Amazing! 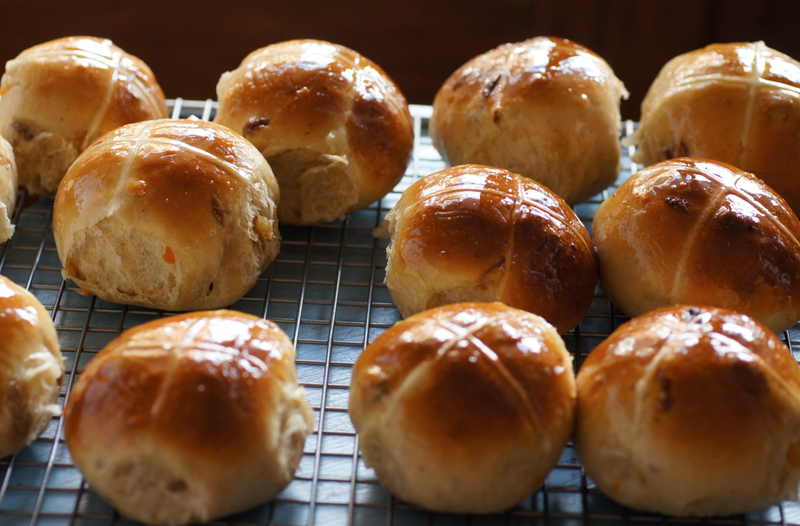 I have wanted to make hot cross buns for ages... I think I might pluck up the courage this year (even though Easter will be over before I make them!) I don't need an excuse for making delicious bread! Awww I am so thrilled to read this post!!! Your buns are so puffy & beautiful!! I like that the cross is thin & elegant... I think everything you make has a touch of elegance, like having really light fingers! Magic fingers!! It's talent without a doubt! 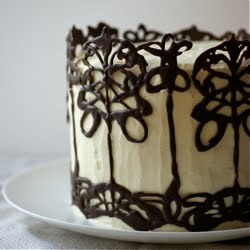 you really deserve the baking blog award!! And thank you for the rolling technique!! I am going to make them - now!! Congratulations on being a Saveur finalist! 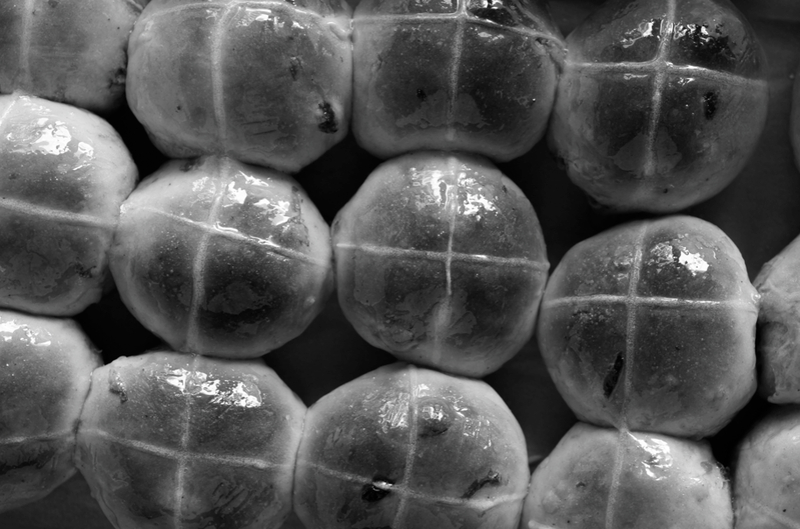 These are quite possibly the daintiest hot cross buns I have ever seen. Absolutely beautiful. These definitely look like your best buns yet! 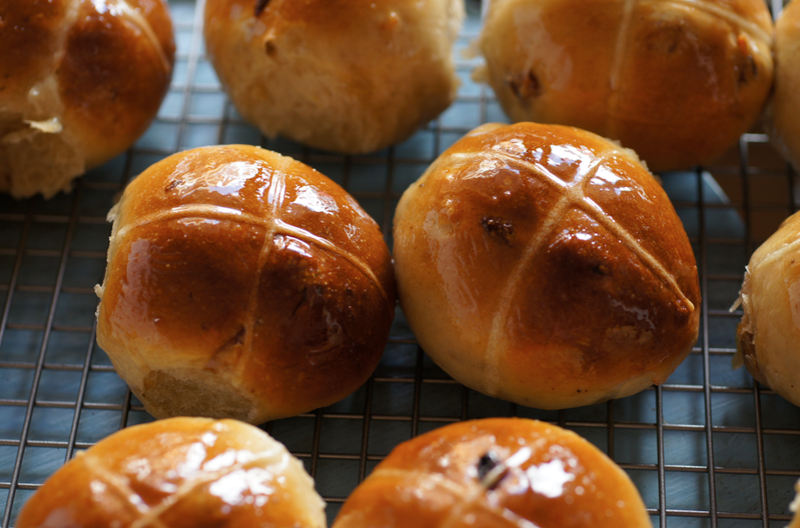 I love a glossy glaze on my hot cross buns and these are perfect. I love the glistening tops on these! Emma, Congrats on the Saveur nomination!!!!! So awesome and well-deserved! Just voted! I hope you win! Just cast my vote! You are amazing, Emma! perfect tutorial! and again, congrats on the nom :) totally well-deserved. Maria - Aw, thank you Maria! I'm glad you found the technique helpful. Suz - Thank you! I'm so touched that they picked me. Elizabeth - I like them to look nice and shiny - almost reflective! Filoner - You're amazing too, thanks! Hi, I just found your blog via the Saveur (or however it's spelled) voting. You said you upped the yeast for lighter buns. The easiest way I've found to get lighter buns is to add the fat (butter) into your dough after the gluten has developed. What happens is the fat coats the gluten precursor molecules, making it hard for them to stick together to create that lovely gluten. so if you knead the dough for 5 minutes or so in the mixer with the dough hook, then add the butter (don't melt it, add it as a solid at room temperature in three or four batches, waiting for each one to be incorporated before doing the next) you will find the dough will be silky smooth and soft, and you should get beautiful light buns. I'd love to share my formula with you if you're interested, it's quite similar to yours :) shoot me a message via my facebook page! Jolene- Thank you! They were really delicious.